This spectacular park in progress will soon rival the big guys. Still under construction, and in the beginning phases at the site of the former El Toro Marine base, this giant spectacle and history-in-the- making will one day cap out at more than 1300 acres, dwarfing Central Park..
Morphing slowly into gardens, waterways, agriculture, trails and even museums, it’s a site to behold. The Great Park’s stupendous master plan will incorporate environmental sustainability. The goal is to work to preserve Orange County’s rich agricultural and military history. Great pains are being taken to set a new standard for both sustainable park design and urban planning. The master plan carries the vision and the hope that Orange County will, with the completion of this gem, be added to the inventory of national treasures and set a new and higher standard for other great metro parks around the world. 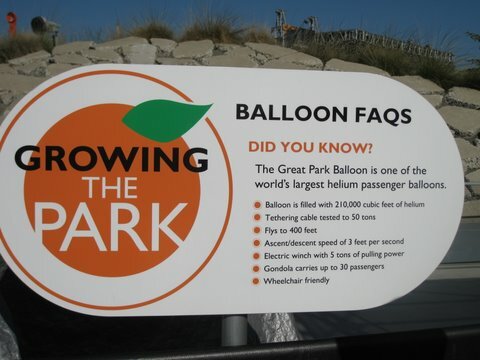 You can take a taste of the excitement and whet your appetite by riding a helium filled and tethered balloon 400 feet over the park to catch a bird’s eye view of the huge undertaking as it progresses. 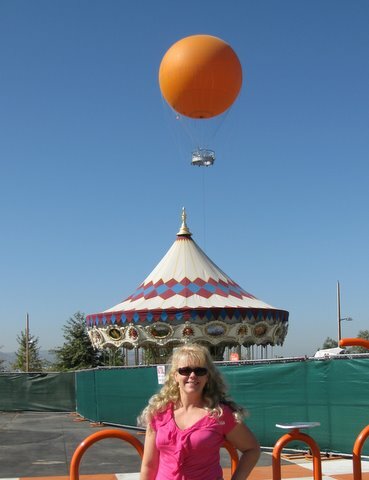 Wanna be gardeners can take free gardening classes from the masters, or take a whimsical carousel ride. Weekends offer a terrific farmer’s market. Evenings show off well known bands and performers in the beautiful amphitheater. Dances, concerts, outdoor movies and more add to the fun. Whichever way you choose get a sample of the coming attractions, you’re sure to have great fun at Orange County Great Park.